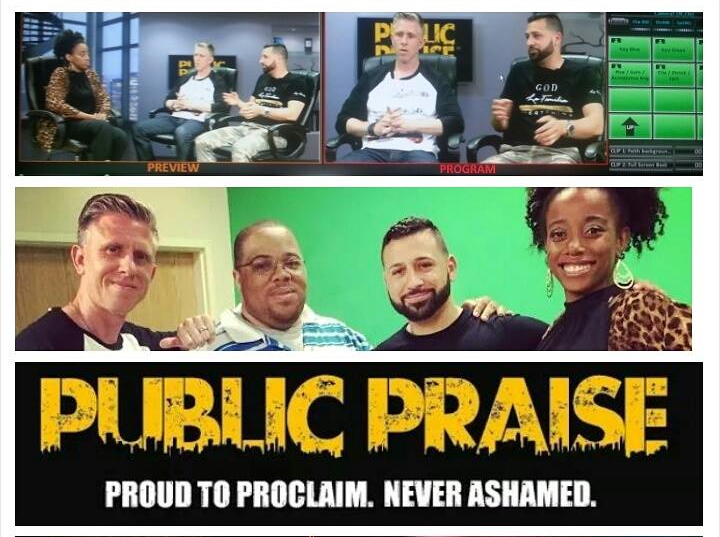 Public Praise TV is an interactive forum that will definitely leave you informed, enlightened and entertained. Whether it’s live performances from our YouTube Channel, one on one interviews, funny sketch comedy, the latest in news and entertainment, or personal reflections from our hosts, Public Praise TV has got you covered! We broadcast to glorify the One that we are Proud to Proclaim and Never Ashamed. AIRS: Tuesdays at 10 a.m., Thursdays at 4:30 p.m., Fridays at 4:30 p.m., Sundays at 9 a.m.